Kim Ynfante Wiki: James “Birdman” Finney’s Girlfriend Is the Wind Beneath the Champion Racer’s Wings! Kim Ynfante is the person in James “Birdman” Finney’s life, who has his back while he puts his life on the line. 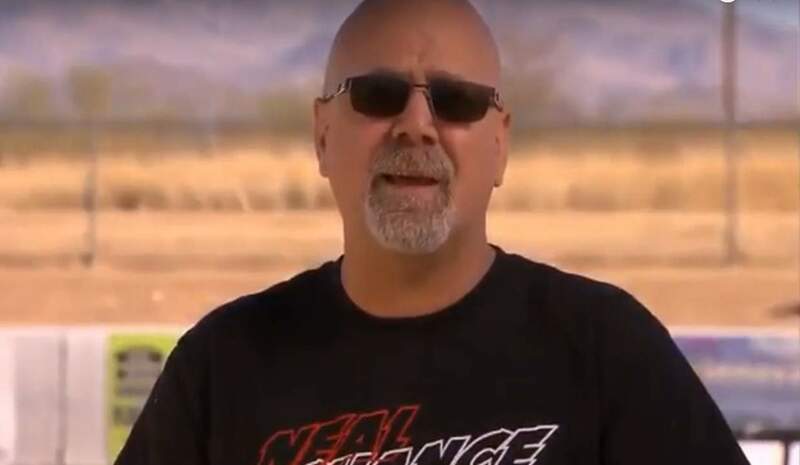 If you’re unfamiliar with the “Birdman,” he’s one of the stars of Street Outlaws, who continues to amaze fans with his street racing skills. Along with her kids, Ynfante often accompanies Finney to his races, which he feels is a motivating factor. She likes to keep people informed about what happens in her life by regularly updating her Facebook page. But who is the woman behind the famous street racer? Our Kim Ynfante has everything you need to know about her. So, keep reading! Anybody who has an interest in street car racing must have heard of James “Birdman” Finney and his legendary exploits. Finney has dominated the sport of no-prep racing, and after spending more than 25 years on the track, he has become an icon in the sport. Finney regularly appears on Discovery’s Street Outlaws, and his fame has spread far and wide. Even though he lives in Texas, his name and abilities are known all over the country. People are also curious to know more about James “Birdman” Finney’s girlfriend, Kim Ynfante. So, keep reading for some details from Kim Ynfante’s wiki. Kim Ynfante is from Crosby, Texas, and graduated from Crosby High School. She currently lives in Baytown, Texas, with her children. They all often travel with Finney and his team to watch his races at no-prep events. Finney says that their presence is an advantage, as his family gets the opportunity to see him race with no holds barred. Their presence also inspires him to do his best, as nothing is more important to him than Ynfante and her kids. Ynfante keeps her family, friends, and fans updated about her life through Facebook. It contains plenty of Kim Ynfante’s photos, including pictures of family members like her sisters Kasey and Kellie Eilers, as well as her uncle, James Seay. There are also pictures of Kim Ynfante’s kids and Finney. You can also find pics of her son playing baseball and her pet cats. It is obvious from her pictures that Ynfante is a warm and generous person who likes to be with people. Ynfante likes sports and has posted several pictures of athletes like John Cena, Tim Tebow, David Beckham, and Rey Mysterio. She is a lover of music and, not surprisingly, there are pictures of some of her favorite musicians like the Black Laurel Band, Kenny Wayne Shepherd, The Mrs, and John Anderson. Ynfante believes in giving back to society, and she is registered as an organ donor. Finney is a lucky man to have a supporting and caring partner like Ynfante. With a woman like Kim Ynfante by his side, it is no wonder James “Birdman” Finney can win races all over America with his formidable skills!